The Egyptian Ful is a short pod type Broad Bean that has quite small plants that bear small pods profusely, The small beans inside the pods are a light green/brown drying to a light tan brown colour. Although nice as a fresh bean, they are best if left to dry out fully. The plants are an average length of time till green pod harvest but if you leave them on the plants to mature and dry out completely on the stems they can make for a lengthy crop. However they do produce well and require little attention – so it’s not too hard to get value out of them. 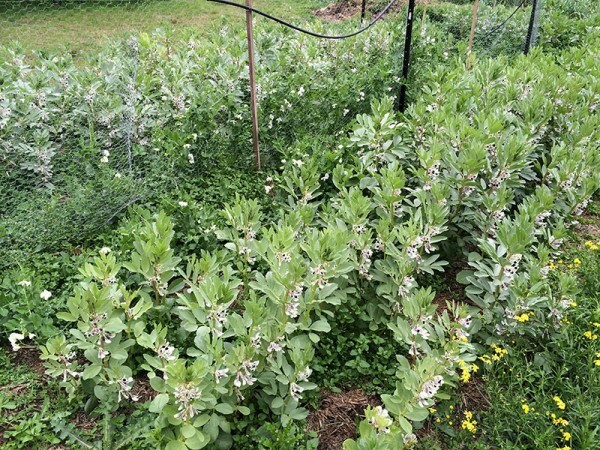 The plants do seem to handle dry and even hot weather every well compared with most other Broad beans. 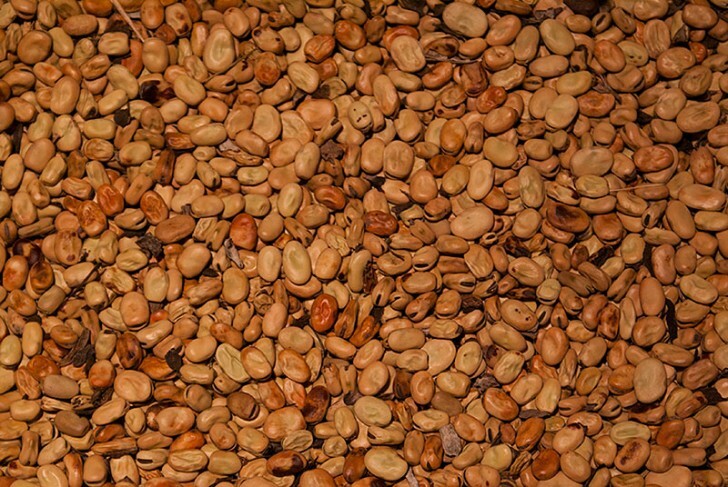 They are a great dried bean to use for the Classic Ful Medames Slow cooked Broad Bean dish. Having not been to Egypt Myself, I do not know how close they are to the beans used in cooking a traditional Ful – but they seem to have a flavour and texture that suits this type of slow cooking very well. I obtained this variety some time ago named as Egyptian Ful, and I have not seen many other similar short pod brown Broad beans around like this. Here they are in early spring growing in the area closest to the camera. This plot produced a few kilos of quality dried beans – very productive! The variety behind the mesh trellis is Red Epicure which grow twice as big as these Ful plants.